Diageo has revealed the first nine bottlings in its 2018 Special Releases, which for the first year since its launch does not feature Brora or Port Ellen. The annual whisky collection is a selection of limited edition whiskies from distilleries within the Diageo portfolio, often comprising rare and old liquid from lesser-known and closed sites. However for the first time since the collection launched in 2001, Port Ellen and Brora will not appear in the range, instead rare expressions from both distilleries will be available for purchase ‘as annual bottlings outside of the collection’. Donald Colville, Diageo’s global malts ambassador, said the decision to remove the two Special Releases stalwarts follows plans to re-open both distilleries in 2020. He said: ‘The thing with Port Ellen and Brora is we are removing them from the collection, but they will be given their own place, and will be individually released in about a year. ‘We’re bringing them in line with the announcement of the reopening of the distilleries; we felt it was time to give them their own place to be highlighted. 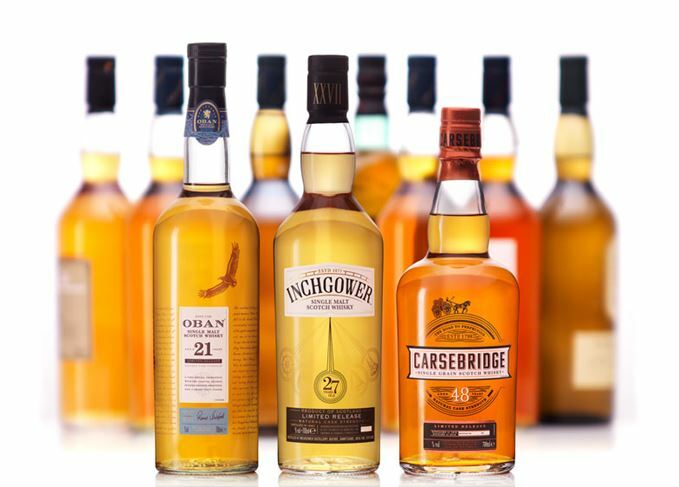 The 2018 Special Releases features eight single malt whiskies, plus a 48-year-old grain whisky from Carsebridge distillery, which closed in 1983 and was subsequently demolished. Among the single malts are a 21-year-old Oban matured in refill European oak butts – a departure from the ex-Bourbon casks usually used, a 28-year-old Pittyvaich which closed in 1993, and a 14-year-old Singleton of Glen Ord, which Colville describes as using a ‘very special and experimental maturation process’. Also in the line-up is an eight-year-old Talisker, a distillery that hasn’t appeared in the Special Releases since a 27-year-old bottling in 2013. The expression, bottled at 59.4% abv, reflects one of the original bottling strengths used by John Walker & Sons when it took over the distillery in 1916. The 10th expression in the line-up will not be revealed until the autumn, when prices for the complete range will also be announced. Colville said: ‘We need to keep our secrets, but what I will say is it’s going to be something different, something special and something everybody will really love. The complete range is set for release later this year. The 2018 limited release line-up is completed by a blend of six coastal single malts. The first in a new series of bottlings from the lost Islay distillery is a 39-year-old malt. Collectivum XXVIII features spirit from all 28 of the company’s active malt distilleries. Diageo’s 2015 Special Releases features some familiar faces, plus a rare 40YO single grain. The highly anticipated but ‘worst kept secret in malts’ is revealed months ahead of release.